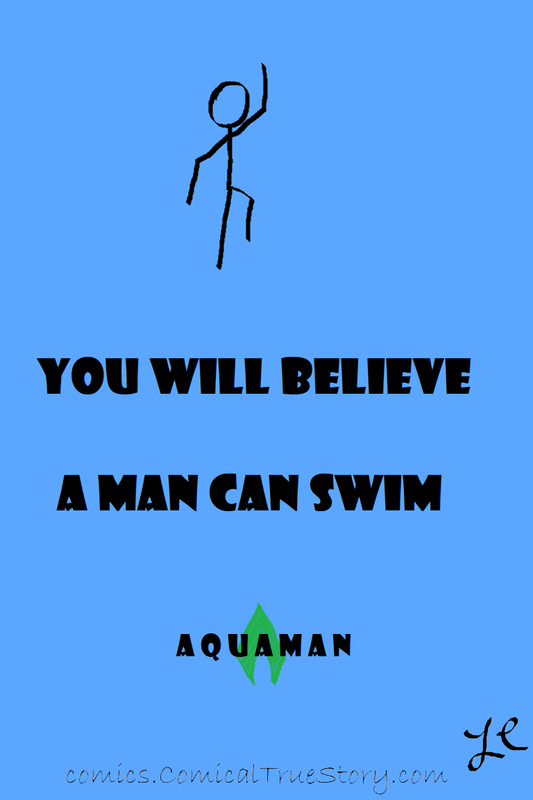 Yes, this is my take on the Superman poster "You will believe a man can fly." Honestly I liked the Aquaman movie. It has funny parts, likable characters, and a decent plot (but not very original). It does have some very scary parts so definitely not a kid movie, but it is PG-13 so that makes sense (though I am always surprised at the number of children I see in PG-13 movie showings).